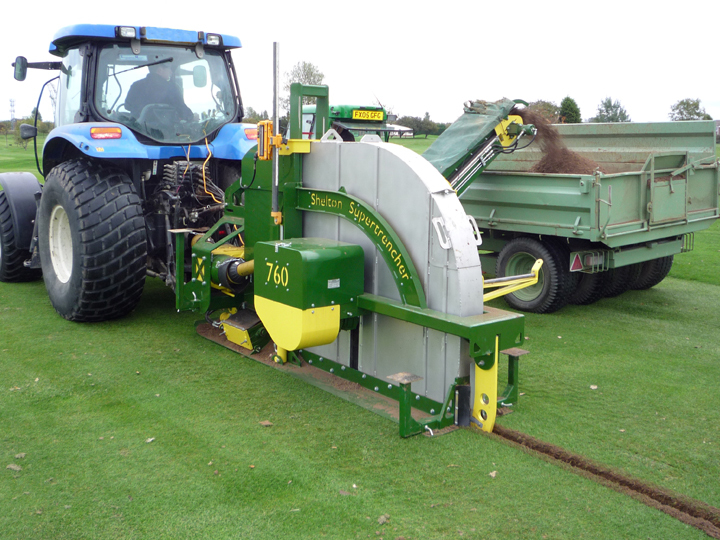 As the name suggests this trencher model is capable of digging up to 625mm deep and up to 125mm (155mm optional) wide. There are two main differences from the 560. 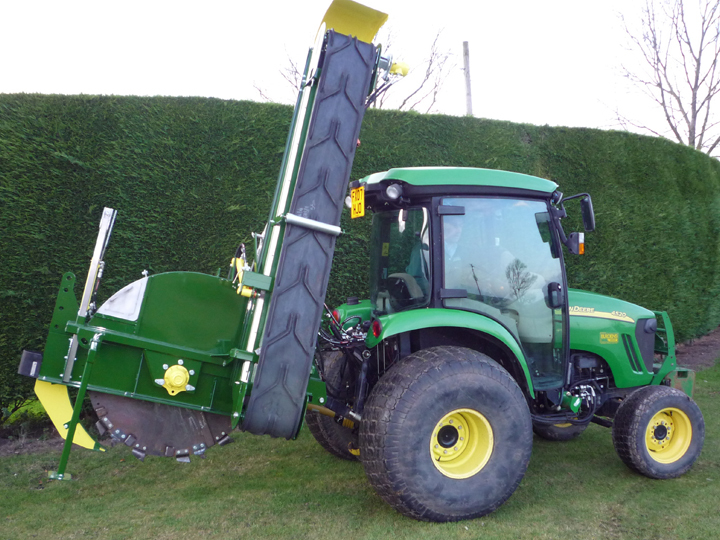 Firstly it features a 2 speed gearboxto drive the digging which helps match digging speed to soil conditions, slow for wetter soils and fast for drier soils, secondly there is a secondary internal conveyor, as this machine is capable of digging wider and deeper trenches. 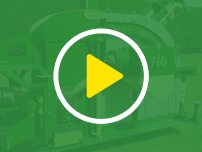 The secondary internal conveyor helps the transport of an increased amount of spoil from the trench to the main conveyor, increasing machine performance. 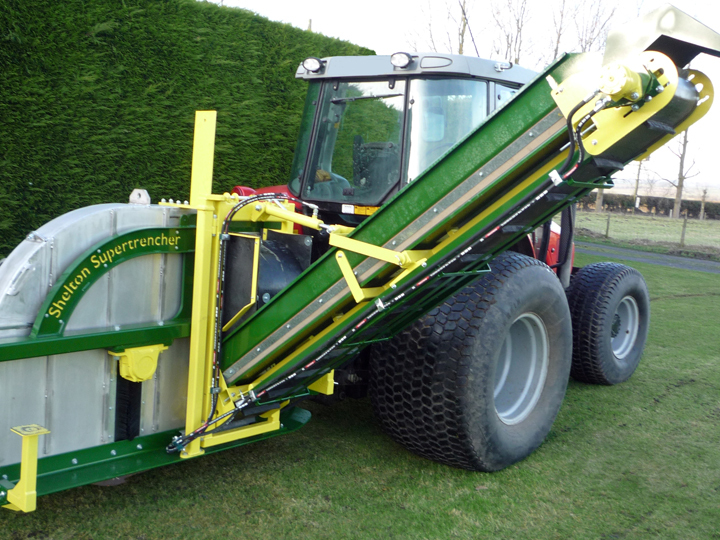 Like the 560 the main external conveyor folds sideways for transport. The tractor requirement for the Supertrencher+625 is from 100hp+ with creep speed gear box.